Contrary to what some people think, I consider background and passive listening to be very useful, indeed necessary. 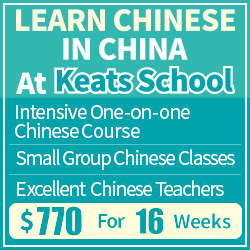 Learning to understand spoken Chinese is about quantity to a large extent and even if we surely can immerse ourselves actively as well, this isn’t practical or possible for people who don’t study Chinese full time. Even for people who do, our minds can’t handle too much active studying anyway, so passive listening is useful in these cases, too. This article is part of a series of articles focusing on listening ability, read the introduction here. The definitions I use here and in the following articles are my own and might not correspond to what other people use, but since I find them useful, I will stick to them from now on. There will be one article for each of the following types. Please note that I use these categories to facilitate a fruitful discussion, so the borders between the different categories are sometimes vague and ambiguous. Background listening is awesome mostly because it allows us to fill our days with hours and hours of Chinese, seemingly paradoxically without taking up much time. Let’s look at a typical day as a barrel (available time) full of rocks (tasks of various kinds, including work). Looks full, right? Well, it’s still possible to fit a large volume of smaller pebbles, sand and water into the same container. Passive listening is that sand, background listening is that water. Read more about the time barrel and how it can help you find more time! Two things follow from this. First, background listening (and passive listening) isn’t meant to replace active listening. The boulders are still there, the water simply fills up the remaining space. Active and passive listening takes up time of completely different quality (see this article for an introduction of the concept of time quality and how it applies to language learning). I feel that many people who disown non-active listening do so because they think active listening is better. Using the analogy with the container above, this question is moot. It’s not a choice between two methods, you can and should use both. Second, it follows that we should try to find listening material which fits between the boulders (if something is too distracting, it doesn’t fit, for instance, more about this soon). Using the analogy of water is a bit idealised, because obviously it requires more effort to fill the gaps than merely opening the tap. Living in China helps, but is no guarantee. Also, all kinds of audio might not fit equally well, depending on what major task you’re currently performing. What material you can use for listening will be discussed in a separate article. I know that different people are distracted to a different extents by background audio. Personally, I can do anything with spoken audio in the background except writing in that very language. However, rather than simply saying “I can’t do this because it distracts me”, I want you to try different combinations. 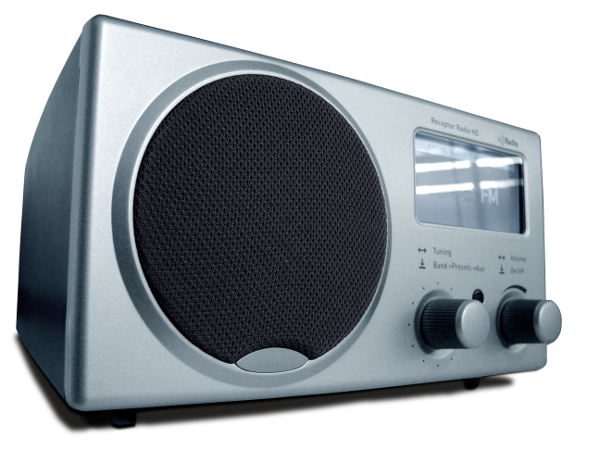 If you feel that radio is distracting you, how about Chinese music? If you really find that you can’t perform task A very well while listening to B, then don’t. Trying, experimenting and evaluating the results is the key here. I also think that this is a matter of practise. The reason I can usually listen to audio whatever I do is because I have slowly built up the capacity for doing so. 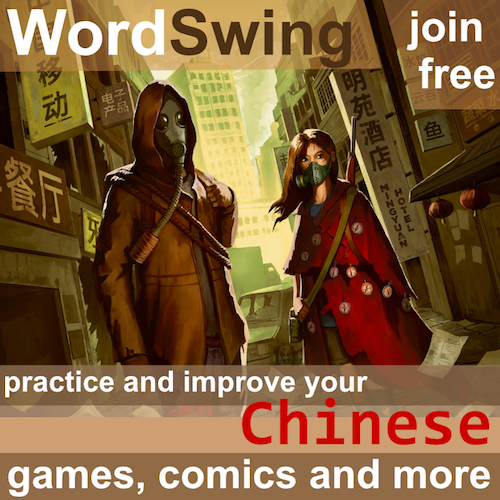 Before I started learning Chinese, I spent some serious time studying English and sometimes listened to one or two audio books every week (that amounts to 20-30 hours). I didn’t start that way, it was a habit (or a skill perhaps) I developed over time. A pertinent question regarding background listening is whether we can learn from something we don’t notice. 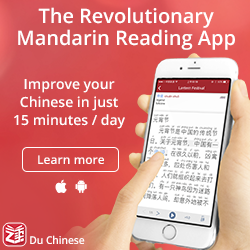 If we are focused on reading e-mails or arranging our calendars, can we really learn Chinese at the same time? I think the answer is twofold. First, no-one is fully focused on their work 100% of the time. There are always gaps. Thus, even if you don’t focus on the audio at all while reading an e-mail, you might listen to it briefly while switching between different e-mails, while copying text from one or when logging out of your e-mail client (please realise that this is just an example, it works equally well for any situation). Thus, background listening turns into ordinary passive listening fairly often, albeit for very short intervals of time. The point is that the duration is so short that you’d never consider starting a podcast or turning on the radio, but if it’s already on, you will listen. I can’t offer more than anecdotal evidence for this, but I have the radio on all the time and even when I’m focusing on other things, I often notice words or sentences in the audio I hear, making mental notes about word usage, grammar, pronunciation and so on. Can we benefit from something we aren’t even aware of? The second part of the answer is more speculative. Our minds are very good at sorting information and we notice or are aware of only a tiny fraction of all the information our brains receive. However, the information thus “ignored” isn’t simply discarded, even if we aren’t aware of it’s existence until we need it. For instance, your brain filters out information about how warm it is in the room or if there is birdsong outside your window. But if you ask yourself, you can still say if you’re too warm or if there’s birdsong outside your window (without waiting for the next chirp). Likewise, if the situation changes rapidly (such as if the birdsong suddenly stops), you will notice. Sometimes, we even pick up things which we aren’t consciously aware of at all. Have you ever found yourself humming the lyrics to a song and then found that the radio in the other room, which you thought you didn’t hear at all, plays the same song at exactly the same place in the lyrics? This has happened to me at least a dozen times. The point of all this is that I think we register and hear quite a lot even if our minds are focused on something else, especially things that differ from what our brains expects to receive. Naturally, the more complex the material, the less likely we are to benefit. For example, I think we can pick up the sounds of a language this way, including tones, stress and syllables, but it’s much less likely that we will learn new words or grammar patterns. I don’t know how big an impact this actually has, but if you’re the sceptical kind, background listening is still a good idea for the other reasons given above. Let’s get started, shall we? I think the analogy with the container, the boulders and the water says it all. 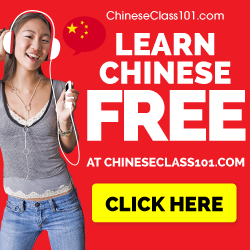 Background listening is excellent because it allows us to learn more Chinese even if we don’t devote much extra time. However, that doesn’t mean that it’s a substitute for more active kinds of listening.Why choose when we can do both? Initially, it might require some effort to get started and fill that container, but it’s well worth it! When solving a problem, the first step should always be to figure out what the problem is. Simply knowing that we don’t understand spoken Chinese at a certain level isn’t good enough, we need to know more than that if we want to improve. In this article, I discuss various ways of identifying and analysing problems with listening ability. This is quite a thought-provoking article. Good job! I find it most effective in reinforcing words and grammar that are already familiar to you. That’s why I prefer listening to songs for this matter. It is repetitive and helps sear into my mind certain phrases and words that I sometimes automatically recall in a conversation. For new and more complex words and sentences, I definitely prefer active listening. You raise a great point about people having only so much capacity to listen actively. Hence, background listening is certainly a good “low-impact” alternative to have during times of work or relaxation, when you don’t want to stretch your attention too much but want that light serving of learning while your at it. You bring up something interesting here. I do agree that it’s mostly useful for reinforcing what you already know, but I want to add that there is another side to it as well. I often hear words I know, but in new situations. Thus, the words aren’t new as such, but the usage might be. It’s not merely a matter of reinforcement in this case, it’s more like deepening the knowledge of a certain word. Reinforcement is a large part of it, but not everything. *can easily find pod-casts on the i-tunes store for free. Since I have an I pod shuffle I had to change the podcast properties to music, so the i-pod shuffle would play the pod-casts along with the music I have on my i-pod. *there is also international on radio on i-tunes, which has two music stations. It might be obvious information for some readers, but not for all, so thanks for the suggestions! For whatever reason, I find it much simpler to just have an on/off switch on a physical device that is separate from my computer to start/stop this background listening. Also saves me from looking for content or running out.